The National Research Council of Italy is the major national governmental research performing organization in Italy, reporting directly to the Ministry of Education, University and Research. It is organized in 7 Departments coordinating the activities of more than 100 institutes in the main fields of knowledge, from life sciences to engineering, from earth system science to humanities, and managing the research infrastructures. It carries out, promotes, spreads, transfers, and improves research and innovation inter-disciplinary activities in the main sector of knowledge, including applications for science, technology, and socio-economic sectors. About 600 researchers, technicians, technologists and managers are involved in marine and maritime activities, also in collaboration with the private sector. Andrea Barbanti has a PhD in Earth Sciences. He worked primarily for Italian Environmental Engineering Companies, dealing with ICZM, environmental master planning and EIS, environmental monitoring networks and systems and environmental policy implementation. He was Senior Researcher at ISPRA (Italian National Environmental Agency) and Senior Consultant of the Italian Ministry for the Environment, Land and Sea (2007-2008). Currently he is working at the CNR-ISMAR as Research Manager. 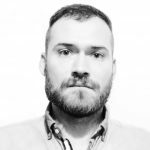 He is collaborating, among others, to the RITMARE Project (IT Flagship Project on marine and maritime research) and collaborated for the ADRIPLAN Project (a pilot project on MSP in the Adriatic-Ionian Region) that he coordinated during its first year. He is involved in science-to-policy activities and research initiatives at national and EU level, focusing on the Mediterranean area. Alessandro Sarretta has a PhD in Environmental Science (Ca’ Foscari University, Venice, Italy). He has worked at CNR-ISMAR (2003-2009) in coastal and lagoon environments, studying sedimentology, morphology of their relations with hydrodynamics and anthropogenic pressures, gained also deep knowledge of GIS spatial data management. He specialised in the development and support Spatial Data Infrastructures working at the EC-Joint Research Centre (2009-2012), dealing with the implementation of the INSPIRE Directive. 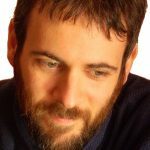 Since 2012 he is researcher at the CNR-ISMAR, involved in the Italian flagship project RITMARE, working on an interoperable infrastructure for the Italian Marine Research Community and the EU ADRIPLAN project, coordinating the work-package on data management in support of MSP in the Adriatic-Ionian Region. Chiara Venier has a PhD in Civil and Environmental Engineering Sciences, and a postgraduate Master in Europroject design. She is currently working as a Post-Doctoral Research Fellow at the CNR-ISMAR on MSP and supporting EU coordination and management activities within the ADRIPLAN Project (DG-MARE funded) concerning the MSP in the Adriatic-Ionian Region. 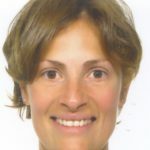 In the last years she acquired experience in project management, supporting the coordination and research activities under FP7 European projects on ICZM, assessment of environmental indicators of coastal systems in North-Africa, and developing tools for aquaculture site selection in Egypt based on satellite-derived data. Daniel Depellegrin has a PhD in Ecological, Biomedical and Environmental Science at KU-MARSTEC (Klaipėda, Lithuania). He is an expert in socio-ecological analysis of coastal areas and geo-spatial analysis of human-nature interactions in the land-sea interface. At CNR-ISMAR he works on the design of geospatial tools for coastal management and MSP and on the analysis of ecosystem services in the land-sea domain. 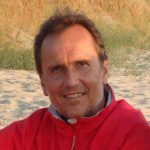 He was consultant for private research institutions and worked as scientific assistant in various national (RITMARE) and international project clusters in the Mediterranean and Baltic Sea (Interreg, NATO SPS, FP7, DG-MARE).